In early 2009, as many as 40,000 civilians were killed in the final days of Sri Lanka’s civil war, having been herded into an area about the size of Central Park and subjected to relentless shelling. No one has been held accountable for these crimes, and even now the government in Colombo remains intent on burying the past. Only an international commission of inquiry stands any chance of rectifying this omission. So when the United Nations Human Rights Council meets Monday in Geneva, it should seek an investigation. It would be a decisive step toward justice and reconciliation in Sri Lanka. The 26-year civil war in Sri Lanka, in which ethnic Tamil rebels rose against a government dominated by the ethnic-majority Sinhalese, was regularly punctuated with massacres and rights abuses by government forces, as well as by suicide bombings and other attacks on civilian targets by the Liberation Tigers of Tamil Eelam. Since the government’s crushing defeat of the rebels, the predominantly Tamil northern province has been under de facto military occupation, with widespread reports of serious rights violations against the civilian population. As the fifth anniversary of the war’s end approaches this spring, Sri Lankan officials say they need more time for reconciliation initiatives to take root. They argue that an international investigation will only further polarize Sri Lanka. They have reacted angrily to a new report by Navi Pillay, the United Nations high commissioner for human rights, that advocates an international investigation and heavily criticizes the government. As the International Crisis Group has documented in a series of reports, the government’s postwar policies have entrenched an increasingly authoritarian regime in Colombo, deepened the rift between Tamils and Sinhalese, and drawn dangerous new lines of ethnic and religious conflict. To date, the government has rejected calls by the Human Rights Council to conduct an independent investigation into war crimes allegations against both sides that have been documented by the United Nations secretary general’s panel of experts and by nongovernmental organizations like ours, and to adopt reforms that could foster postwar reconciliation. The United States, which has a record of leadership within the Human Rights Council, would be the best sponsor for a resolution seeking an inquiry. The other members of the council should give it their strong support. They should also reject the Sri Lankan government’s endless delaying tactics and its global public-relations counterattack, which includes a half-hour infomercial that has been shown on American television. Momentum for such an investigation is building. Six United States senators, led by Patrick J. Leahy, Democrat of Vermont, called for an international commission of inquiry in a letter sent this month to Secretary of State John Kerry. Three days later a resolution was introduced in the Senate calling for an independent investigation (not necessarily by a commission). Prime Minister David Cameron of Britain, other senior European Union politicians and Indian officials also have taken clear exception to Sri Lanka’s failure to pursue accountability for atrocities. Meanwhile, in response to victims’ pleas for justice, a newly elected northern provincial council in Sri Lanka has joined the calls for an international investigation. But the government of President Mahinda Rajapaksa has rejected all such recommendations, even when they came from Sri Lanka’s own reconciliation commission. He has also gravely weakened the independence of the judiciary and the police with the impeachment last year of Sri Lanka’s chief justice, placing the possibility of using Sri Lanka’s courts to achieve accountability further out of reach. By showing survivors of wartime abuses that the international community hasn’t abandoned them, a commission mandated by the council could also undercut growing calls by Tamil diaspora organizations for more radical measures, and encourage victims of rights abuses from all of Sri Lanka’s ethnic and religious communities (the country’s main faiths are Buddhist, Hindu and Muslim) to continue seeking an end to institutionalized impunity. The Human Rights Council has an opportunity, and should seize it. A number of the council’s current member states — for instance Chile, Costa Rica, Botswana, South Africa, Sierra Leone, Morocco and Macedonia — have led on other human rights issues and should press the council on this one. Sri Lanka’s government is playing a waiting game, hoping the international community will lose interest, while also proffering the crude argument that reconciliation is attainable without justice. But the costs of doing something now would be very small compared with the years of strife that would be the likely result of letting impunity win in Sri Lanka. 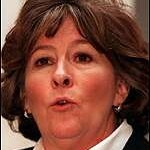 *Louise Arbour is the president of the International Crisis Group. 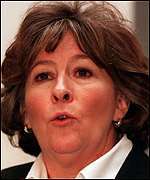 She previously served as the United Nations High Commissioner for Human Rights (2004-2008), as a Justice on the Supreme Court of Canada (1999-2004), and as the Chief Prosecutor for the International Criminal Tribunals for the former Yugoslavia and for Rwanda (1996-1999). Version of this article appeared in New York Times on February 28, 2014.